Overall: I'm a growth hacker for a small startup and we are always looking for a way to get feedback. 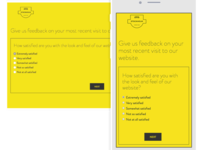 I can typically use the feedback to send to our UX/UI team, for testimonials, and improving home page copy. Since I like to write in our customer's voice I wanted to talk to customers. Since it isn't super scalable to get on the phone with everyone, even though we did that for some customers, we put out a survey. 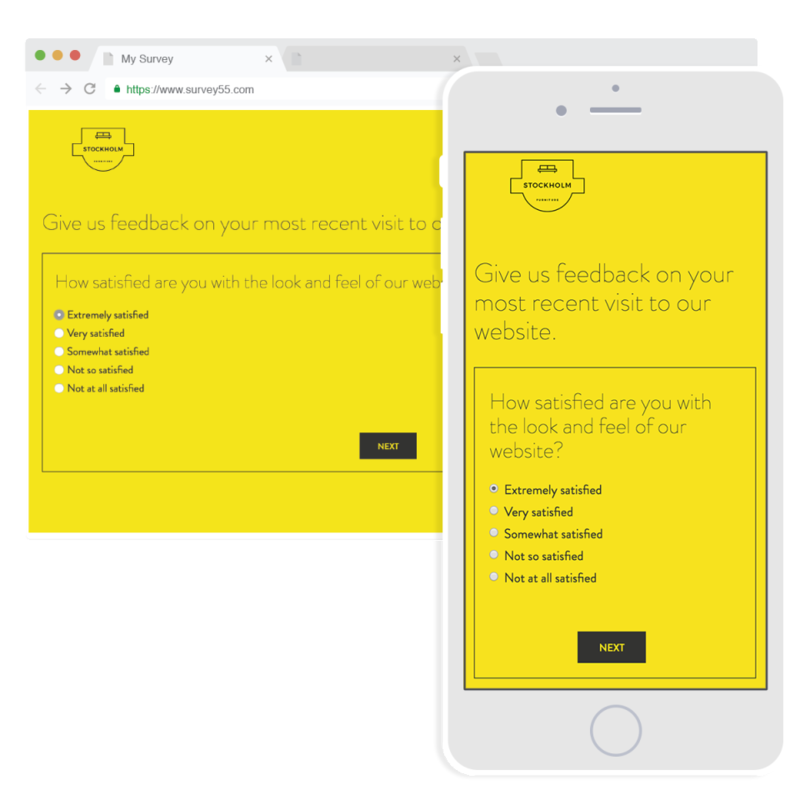 'We used two surveys targeting one-time visitors and long time users. The information we got back was beyond helpful. 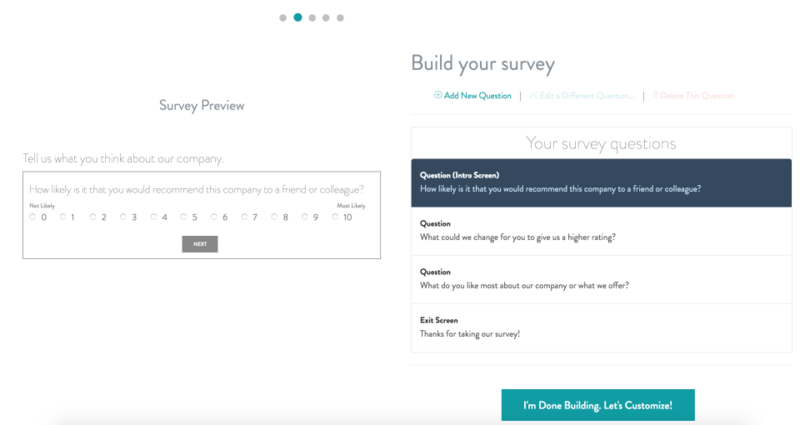 It was exciting to get the Slack updates with the feedback instantly from the surveys. It's also nice to see at a quick glance if the feedback is positive or negative. 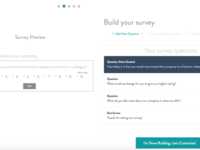 I set it up all myself (and I'm no where near technical) didn't have to ask my developers for anything else (thank goodness), and we actually got a few compliments/questions about how good the survey looked. To sum it up - very easy to use and expect tons of feedback that you can access pretty quickly. Overall: We're running a vintage home decor eCommerce site. So we sell one off, high priced products (~$1K AOV) that take a lot of work to get sold. 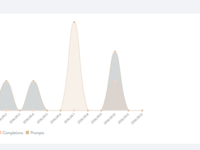 We weren't meeting our conversion targets and after changing a lot of things, emailing customers for feedback (with no success), and using all kinds of tools to figure out the problem (like Google Analytics, Inspectlet, CrazyEgg, etc.) we needed some qualitative data. So we created a few surveys with Survey55. I'm going to be honest - I was really drawn to how pretty the surveys looked, but was surprised at how incredibly easy it was to get such amazing feedback. 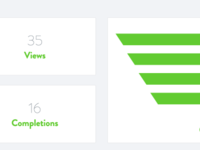 To help us figure out our conversion problem, we used a number of different surveys through our optimization process. We used a different survey per type of page, so on our product pages we used a survey to ask what is stopping them from buying. On our home page we asked what they were looking for? On exit intent we asked what's missing from the page? 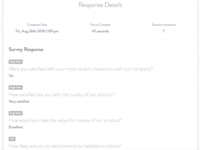 We also used it to grow our email list - because we added that field to our surveys. This gave us the opportunity to email people for more feedback and follow up. All in all, I'd say Survey55 is easy, good looking (which gets more people to answer the survey), and the data is invaluable. It's nice to have the automatic neutral/positive/negative meter so we know right away which responses to address first. I can honestly say it's one of the tools that has changed our business. 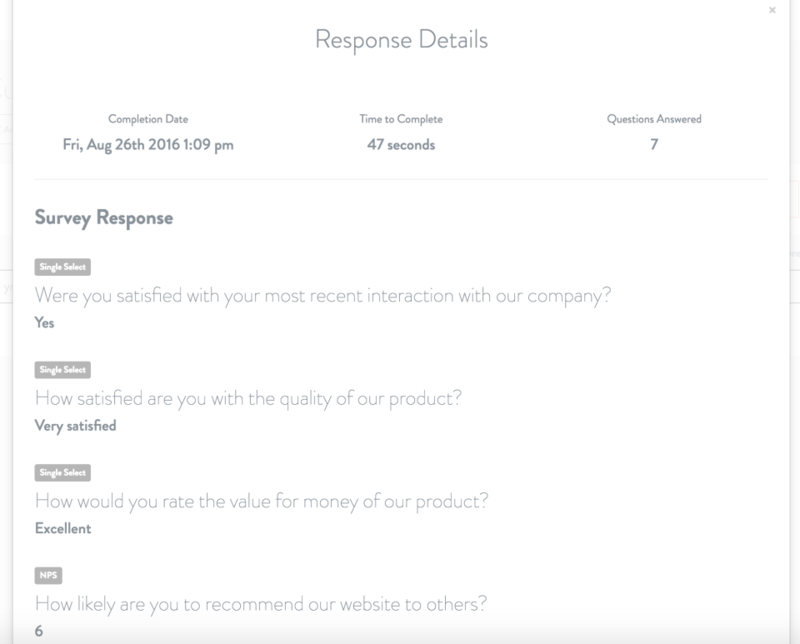 Recommendations to other buyers: I'd say make multiple surveys instead of just one. There easy to make so it's just a matter of thinking about what questions to ask without overwhelming survey takers. But I saw a lot of templates and we only used templates, so that shouldn't be a problem.